The Memorial Candle Program has been designed to help offset the costs associated with the hosting this Tribute Website in perpetuity. Through the lighting of a memorial candle, your thoughtful gesture will be recorded in the Book of Memories and the proceeds will go directly towards helping ensure that the family and friends of JOSEPH SHALLCROSS can continue to memorialize, re-visit, interact with each other and enhance this tribute for future generations. 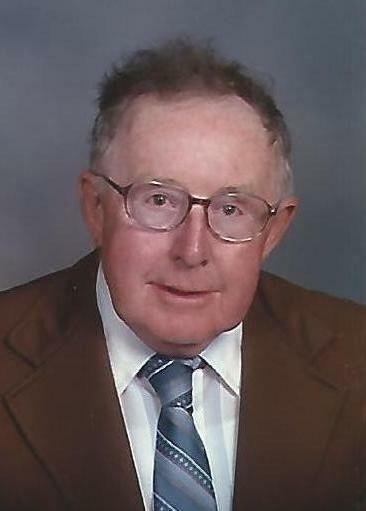 Joseph George Shallcross passed away peacefully in Roseville, California on June 8th at the age of eighty-one. Joseph is predeceased by his parents Ann and Harold Shallcross as well as his sisters Sylvia, Ann, and brothers Harold, and Patrick. He is survived by his loving wife of fifty nine-years, Nancy, and their three children Joanne, Michael, and Laura. Joseph and Nancy were married at St. Alban's in Chicago, Illinois on September 6th, 1959. Joseph is lovingly remembered by his wife Nancy, daughter Joanne son-in-law Herbert, son Michael daughter-in-law Kathryn, daughter Laura son-in-law Morgan, Grand-children Caroline (Lupe), Herbie, Mathew, Kyle, Lucy, and James, Great-grand-children Jordan, and Nanci, Brother in-law Ron, and many other cousins, nieces, nephews, grand-nieces and nephews. Joseph was born in Downers Grove Illinois on August 4th 1936. He graduated from Downers Grove Community High School in 1955. He met his wife Nancy in Chicago while working at Polk Brothers in 1956, was married in 1959 and was drafted into the Army in 1960. After being honorably discharged from the Army he moved the family back to the Chicago area and worked at Motorola facility in Chicago. He then moved the family out to Schaumburg to work at the Motorola facility there in 1968. He was a business entrepreneur and started Waveland Television Repair in the 1970s and finally in the 1980s worked for Panasonic in Elgin Illinois for 15 years, until he retired in 1998. Joe loved walking, golf, good food, his family and friends. In lieu of flowers, contributions can be made to the Veterans Resource Centers of America, at https://www.givedirect.org/donate/?cid=1190 Condolences and memories may be offered online at chapelofthevalley.com under “Current Services”. A Celebration of Life will be planned for a future date which will be placed on the above web site. To send flowers to the family of JOSEPH GEORGE SHALLCROSS, please visit our Heartfelt Sympathies Store.